Media reports say King of Saudi Arabia Salman Bin Abdulaziz Al Saud is set to visit Maldives on 18 March on an official trip combined with a holiday. Salman visited Maldives in 2014 for holiday, then he was the crown prince of Saudi Arabia. This visit to Maldives will mark his first since becoming king. An unconfirmed report on Maldives Finest say Saudi government is planning to invest in Maldives. Prior to this report, the President of Maldives had told to public that senior Saudi government leaders were very interested in investing in Faafu Atoll and this would be a big investment. 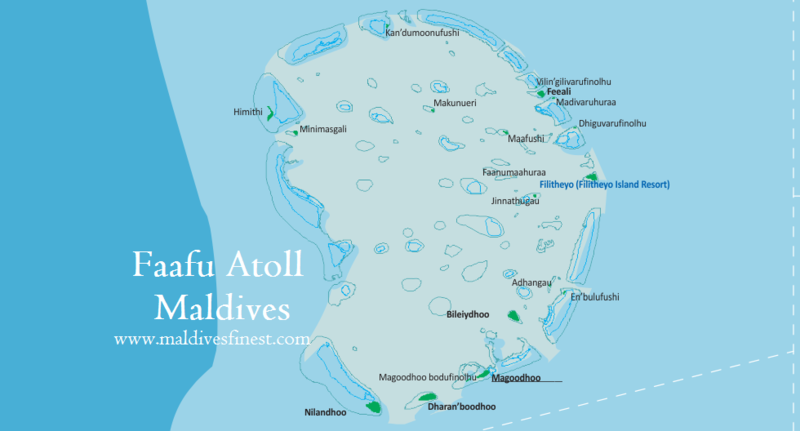 According to Maldives Finest Saudi is planned to buy Faafu Atoll for 99 years under the act of Special Economic Zone. Saudi seems planning to build an international mega city that could accommodate hundreds of thousands of people. This would be good news for super rich family who dream living on the beach side of a tropical country like Maldives. To get that much of people to live in a city would require some of the best education systems, health facilities and other needs to met at world’s top level. This seems to be a good move to Saudi Arabia which is undergoing heavy economic downtime due to oil price falls and renewable energy trend. Even this year there were several billions of dollar in Saudi budget definite and media reports say in 2018 Saudi will introduce Value Added Tax (VAT) and other taxes. This indicates Saudi economy has been hardly hit at this time and will be in time to come, if other means of economic development is not achieved. Saudi’s investment in the Maldives would likely benefit greatly as there is immense demand in Maldives tourism sector. As for Maldives it would create thousands of jobs and there would be a good income flowing to the nation as means of spending by the wealthy residents. Now we are weeks away to the visit of Saudi king to the Maldives. We are expecting to get more detail on the project during this visit. Back in 2014, Salman booked entire 3 resorts for him and his family holiday. Reports say there was a floating hospital also. In addition his private yacht was in Maldives. There were hundreds of security personnel and Maldives Coast Guard on his security. It seems king was impressed with Maldives after this holiday. At the same time, Saudi economy badly requires foreign investment. Map of faafu atoll shows 18 islands (see country map of Maldives), there are some lagoons that could be reclaimed to expand the land size. Even though Saudi is interested in Faafu Atoll it is not likely that King Salman would stay in there on this holiday. Because there are no luxury resorts in Faafu Atoll and king would definitely not stay at a cheap or even near luxury place. In the coming days we will probably have more inform and most likely will know his resort prior to arrival. King’s security team is already in Maldives, doing security clearance.